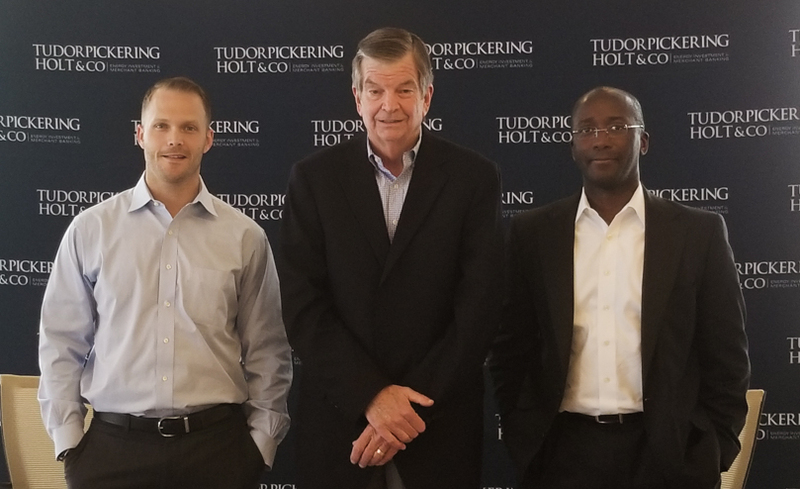 Mammoth Energy Services CEO Visits TPH – Tudor, Pickering, Holt & Co.
With E&P operators in North American unconventional plays largely embracing a well “manufacturing” mindset, OFS companies with a like-minded approach to serving E&P customers (maximizing well-site efficiencies, minimizing non-productive time, etc.) should be well positioned competitively going forward. Given Arty spent most of his career in senior industrial / oilfield manufacturing-oriented roles before taking the helm of small-cap, diversified OFS player Mammoth in Feb-16 (against the backdrop of ~$30/bbl WTI), we found his key lessons learned (e.g., importance of having right folks in right seats, affording managers the freedom to lead while holding them accountable, being obsessed about continuous improvement, never compromising on safety) to be instructive. In addition, Mammoth’s take on the U.S. pressure pumping market (company serves Marcellus/Utica and Mid-Continent region) is consistent with our own, which is to say that incremental customer demand is still comfortably outpacing supply, so frac fleet utilization/pricing continuing to trend higher.